Download and install latest HP Omen 15-DC0096NR drivers for Windows 10 64 Bit to get your gaming laptop operate properly. 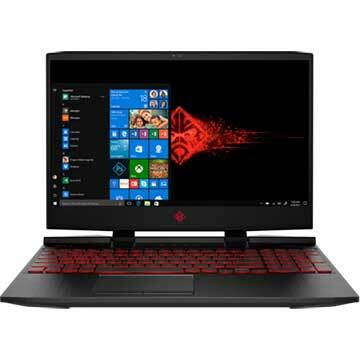 As described at HP official website, HP Omen 15-DC0096NR is 15.6 inch gaming laptop powered by 8th Generation 2.2 GHz Intel Core i7+ 8750H hexa-core processor and discrete NVIDIA GeForce GTX 1050 with dedicated 4 GB GDDR5 VRAM. This HP 15-DC0096NR notebook PC comes with 8 GB DDR4-2666 SDRAM system memory and fast 128 GB PCIe NVMe M.2 SSD solid state drive to store files, musics, videos, and other documents. This mobile computer features 15.6 inches Full HD (1920 x 1080) IPS screen display, 802.11b/g/n/ac (2x2) Wi-Fi, Bluetooth 4.2 combo, multi-format SD media card reader slot, Mini DisplayPort, Thunderbolt 3 port, USB 3.1 Gen 1 port, dual speakers with Bang & Olufsen and HP Audio Boost, and 4-cell 70 Wh Li-ion polymer battery.